The Tablet Gun gives retailers the mobile devices and software they need to decrease overall technology cost and footprint, while increasing store productivity and overall customer satisfaction - ensuring ROI. 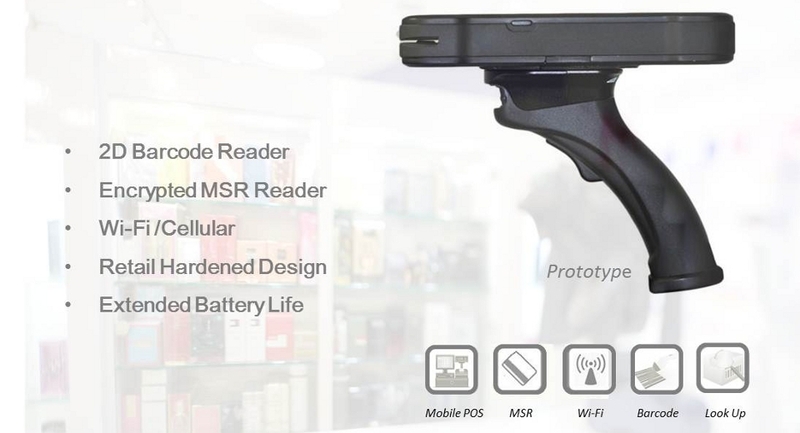 RTC's patent pending Tablet Gun incorporates a high resolution rotating mobile tablet device, a 2D barcode reader, and an end-to-end encrypted MSR reader mounted on a "pistol grip" base housing and is one of four designs of the Mobile Scanner System product line. This PCI compliant, Wi-Fi/Cellular device matches the exceptional "Work Flow" performance of an RF Data Terminal and the transaction speed of a typical POS terminal all engineered into one retail hardened, handheld mobile device.